Zee Monodee: From My Playlist: British Chicks that run the show! From My Playlist: British Chicks that run the show! Popping in for a quick one to share a few things with ye all. I was listening to the MP3 player on my phone yesterday while cooking (music and lol, singing along, help me relax while *shocker! * being in the kitchen I now find soothing). So on comes a totally random playlist, but the thing is - these songs were all by amazing British female artists! I must've mentioned quite a few times how my tastes veer more toward British pop and chart music. My favourite chart to follow and grab tunes from is still the UK Top 40 compiled through best singles sales by the BBC. And since I realized that I haven't posted any music playlists on here this year *gasp! *(the last one was when I pitted boy bands and girl bands in a Battle of the Sexes playlist in December) I thought, why not share with you some of those rocken' tunes I was listening to yesterday? Here goes! In my humble opinion, some of the best British tracks out there for 2012 and 2013. First up - heard this one when I was at the hairdresser last week. With foils all over my head (coz I was getting highlights... Yay not, in order to cover the grey), the sounds resonated home even better. I didn't know the track, but the voice was the unmistakable one of Florence Welch. I captured some lyrics, Googled them once at home, and this was the track! 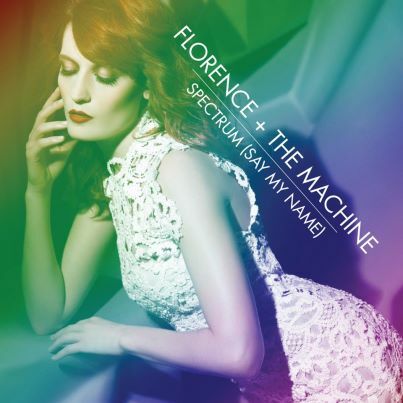 Spectrum, by Florence and the Machine. And finally, would a British playlist be complete without the British artist of the moment? Adele, of course, can channel heartbreak into a kick-arse anthem that makes women the world over go "Girl Power Rocks!" Hope you had a good time listening to my tracks' selection, peep!